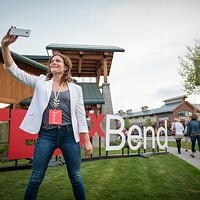 Tickets to TEDxBend 2015 sold out in just seven hours this year. 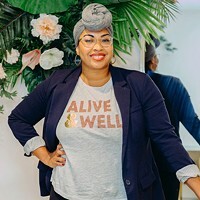 If I was looking for a ticket, I would turn to two of the presenters for help—Saturday's lineup includes a super young and talented magician duo who might know a thing or two about making things appear out of thin air. Hayden French and Wyatt Carrell are both students at Bend High School who have mastered the art of illusion at the young age of 15. Judging by Carrell's YouTube video of their performance at a school assembly this last winter, they are already a huge hit at their school. This makes sense when you consider that French, who took up magic only recently to impress a girl, can solve a Rubik's Cube in less than a minute. And Carell is a self-taught web designer and programmer who shares his magical feats—he can do both The Famous Houdini and the "Coke Trick"—with his YouTube audience. 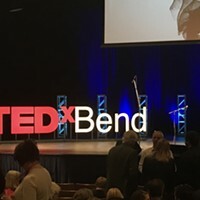 The duo will take the stage at TEDxBend on Saturday with the kind of swagger that only two masters of misdirection can muster. Source Weekly: What kind of magic do you perform? Wyatt Carrell: I like to perform visual magic that requires no smoke and mirrors, I do this because I feel that smoke and mirrors are only a way of lying to the spectators. I like modern, more casual magic that most would find "impossible"
Hayden French: I perform, as a magician, mostly up-close-and-personal magic with the occasional case where I do bigger tricks that involve having a larger crowd than normal. SW: How and when did you become interested in illusions? Do you have any illusionist role models? WC: I became interested in magic around the age of 8 when I got a magic kit from one of my family members. I don't know who because they all say they started the magic addiction. HF: When I was about 7 or 8 years old, I was at a Christmas event with my family. There, I met a magician who was really cool. He showed me a cut and restore rope trick and a few card tricks. From there I always wanted to know how to do these things to impress others. After a year or so, I stopped because my school life—with grades and bullies to deal with—came into play and was quite time consuming. Then, I got to high school. From there, I met a girl. I thought, at that point, that she was so amazingly awesome that I had to get back into magic to grab her attention. This is also when I met Wyatt. But after countless times of not reaching my goal of getting the girl, I decided to do magic on my own and to others to see their reactions, and I actually got really nice ones. SW: How did you prepare for the presentation you will be giving this weekend? Are you nervous to present on the stage of such an "intellectual" conference? WC: To tell you the truth, I didn't do much preparation, like I said, the magic I do is more casual. I literally only spent about an hour practicing in the past four months! HF: To prepare, I have practiced a bit with Wyatt to sharpen our performance skills. As for the crowd as a whole? No, I am not worried or nervous at all. I am used to performing things in front of others and I also find it easier to not freak out. That is the only time I mess up. Keeping my head high, my nerves calm, and a certain person on my shoulders (metaphorically), I know we will do amazing. SW: Do you have any favorite TED Talks? WC: I really enjoy all of them but I most appreciate Apollo Robbins' talk on misdirection. HF: My favorite kinds are ones with magicians in them—the magician Justin Willman and a few others. They are fun to watch. But some of the other non-magic shows were quite interesting and made me happy to have seen them. SW: What do you hope to impart upon or inspire in your audience with magic? WC: I want my audience to go home and figure out how it was done. That way I know I was so important that they spent their own time on me! HF: I hope, just as anyone else I have performed to, to leave our audience on the edge of their seats and leave the event questioning everything that we have done.